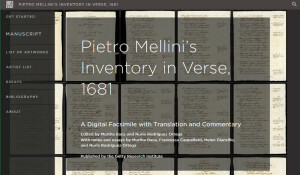 Last week my team at the Getty launched our latest big project, Pietro Mellini’s Inventory in Verse, 1681. 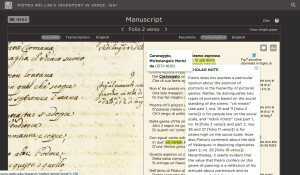 Five years of work, contributing scholars from multiple countries, two different Drupal versions, and development team members coming and going have finally led to this first of its kind (for us, anyway), completely digital publication of scholarly work, which translates and interprets this unique manuscript of the inventory of Pietro Mellini’s art collection, written entirely in verse. The first half of the project that began in 2000, which I did not work on, involved building a scholar workspace in Drupal 6, which enabled the scholars to collaborate on the same material from the comfort of their various countries. 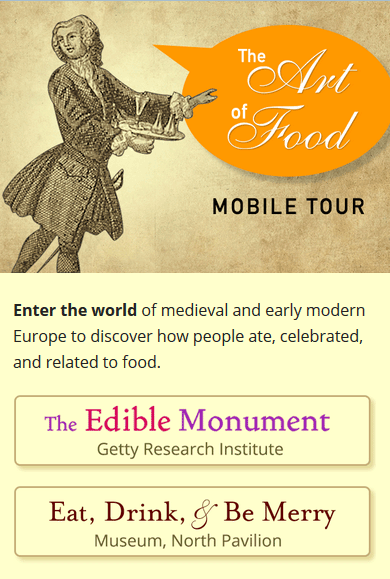 The second half, the part where I came in, was to build a public-facing, fully-annotated and citable digital publication of their work, which we built in Drupal 7. 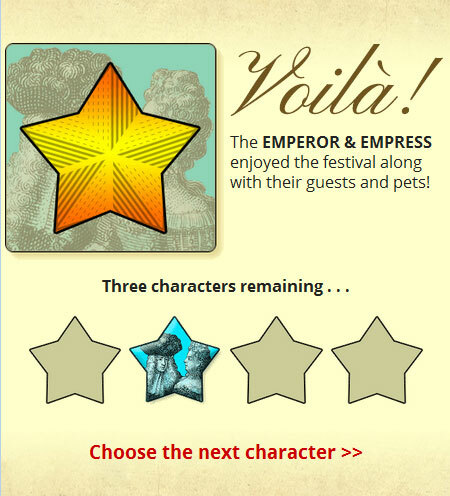 Easily the two coolest features are the manuscript view pages and the list of artworks page. View each page of the manuscript, compare it to its transcription or English translation, and see the scholars’ notes on particular passages. 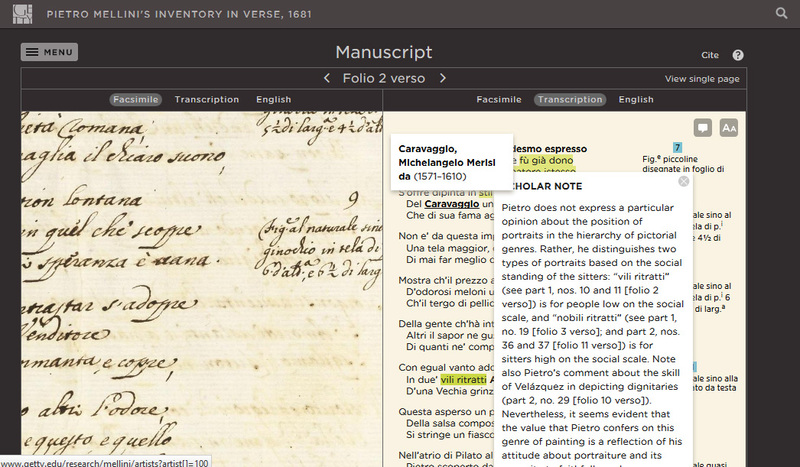 Visit every page of the manuscript and zoom in to check every little detail of Mellini’s writing. View the transcription and/or English translation of every page. 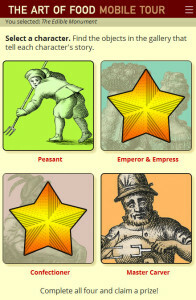 View the different versions side-by-side. Read the scholars’ notes for select passages by clicking on the highlighted selections. Use the linked margin notes to find out more information about each work. 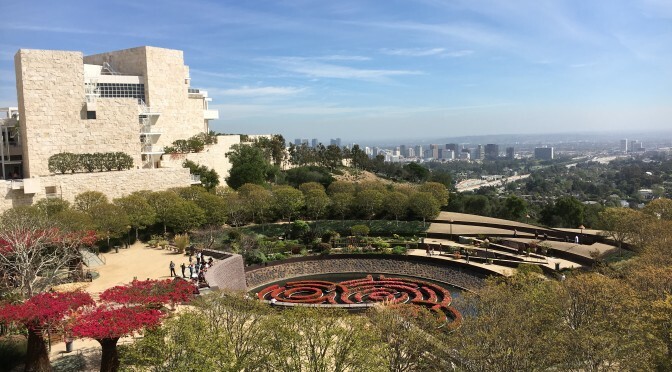 Find out how artworks included in the 1681 inventory compare to how they were listed in the more traditionally documented 1680 inventory of the same collection. Find out what known artwork, if any, the scholars have identified as being part of the Mellini collection. 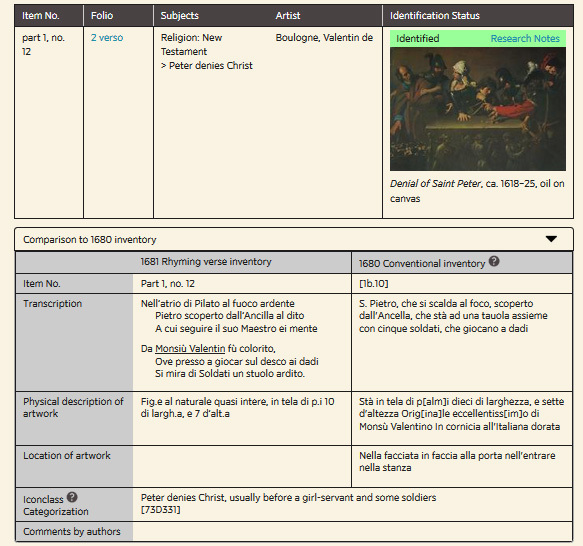 Compare how the same work was described–usually in much more technical detail–in Mellini’s 1680 inventory of the same collection. Use the convenient filters to find out how many works, if any, Mellini owned from your favorite artist. 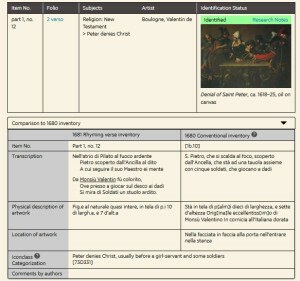 Jump to the Research Notes for each identified or possibly identified image to see more information and provenance. Five years and the hard work of numerous people went into this publication, but personally I’d like to thank the team members I worked with myself over the past two years–Susan Edwards, Tom Scutt, Ahree Lee, JP Pan, Murtha Baca and Francesca Albrezzi. Hey guys–we did it! Everyone else: Go see it!